Note: Portland (Pdx) NORML became Oregon NORML in the fall of 2001. 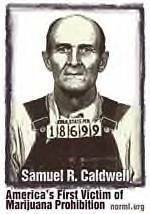 This website, http://www.pdxnorml.org/, is preserved by Drug Policy Central for its historic, educational & informational value and is being maintained by volunteers for that purpose. It is not officially sanctioned by nor the responsibility of NORML or any of its affiliates. Any opinions, viewpoints, ideas and action items that may be perceived here are those of past contributors and/or the current Librarian/activsts. This page is intended to tell about we, the people here at the former pdxNORML Web Library; how to get a hold of us and a little about who we are & why are we here. 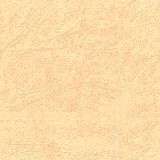 Many people were involved in the development of this site. It's the culmination of quite a few activists, sacrificing time and other resources in setting it up and keeping it maintained. It represents people of many faiths, politics and philosophies - but all dedicated to a common goal of informing, educating and organizing to help end cannabis Prohibition. Read on for more about the current staff, or for more about this site. Comments, questions and suggestions about material? For issues with CONTENT and STYLE, or to communicate ideas, changes or requests for further information - contact Library services. We are volunteers doing the best we can, so pardon us if we are short on resources (like Time!). PLEASE! be patient, your contact is very important to us. You are the reason we are here, so EVERY item will get a response, even if just an acknowledgement. For TECHNICAL issues - compliments, complaints (report broken links!) with the web site in general, you can also eMail the Webmaster in Web services directly. Our group is committed to working as a team to make this site an accurate, relevent tool for cannabis law reform. Post your thots, leave a comment in the GuestBook. call them at (202) 483-5500 or visit their site at www.norml.org. The nearest local affiliate, Oregon NORML, can be reached on-line at www.orNORML.org. This site hosted and supported by MAPinc - the Media Awareness Project - and their parent organization DrugSense. Our undying gratitude to them and their fine staffs in making this site a valuable part of the Drug Reform Coordination Network Online Library. Support the Cause. 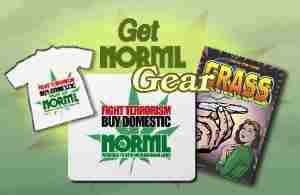 Buy NORML Stuff! the Library. "What happened?" Archive of stuff built by Portland NORML volunteers and other remains of the old site. News and other items of historical interest. Unique articles about the movement in Oregon and the world at the time. News and info. "What's happening?" Informing and Educating yourself and then others about why we do this. See also ALERTS! and Events. Action! "What you can do about it!" Ideas and Resources. - Legislation and other long term change. Key votes, Tips, Alerts and such. 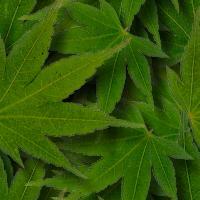 The Monthly NORML Newsletter. For printed news and such, for your Cannabis Law Reform Information and Outreach. This unit works in conjunction with others to provide a hardcopy medium of communication for the cause. da Biz - Bizness Associations; cannabis friendly Sources for products; potential donors, sponsors and supporters of events or ideas; and, someday, cannabis friendly employment guide (at least tell you who/how to avoid!) This will include Bizness DisAssociation, where we boycott those who support the war or any of it's tentacles. ... Our undying gratitude to them and their fine staff.